BarMax LLC. had a very specific subset of people in mind when creating one of the world’s most expensive iPhone apps—law students studying for California’s bar exam. Intended as an alternative to expensive bar preparation courses such as those offered by BarBri, the app offers for $1,000 what traditionally costs three or four times as much. BarMax boasts 1,371 previously used multistate bar exam questions and 100 previously used essay questions. 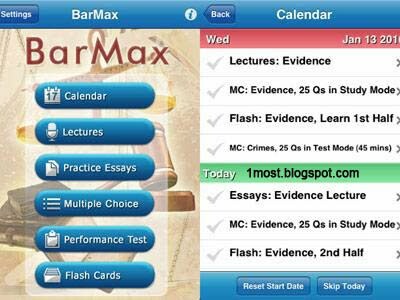 BarMax also has a multistate version, New York version and five other state-specific version in the works and hopes to roll them out before the end of 2010.